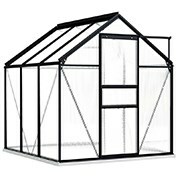 At MyDeal Australia we have Garden Greenhouses for sale for your home in a variety of designs and styles at reduced prices. We have small designs which can accommodate pot plants, which are a great option for those who are not privy to a big backyard, live in an apartment or the city. 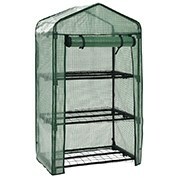 We have large sizes for enthusiastic gardeners that require sufficient storage place for their plants or trees. 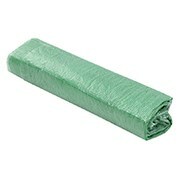 These ensure that your plants, vegetables or trees grow in their preferred environment regardless of the season. Our range includes products made from plastic which is durable against all weather conditions such as rain, hail and sun. If you are looking for a long term solution to grow your plants, a product from range is ideal. We sell products equipped with a manual which you can assemble on your own. This ensures easy transport and enables you to put in storage when you do not need it. At MyDeal Australia we offer an easy process to purchase your product. Browse our range to find the appropriate product for your gardening project. Your product will be delivered to your door and you won’t even have to lift a finger. The best part of this range is the prices we offer Australians. We have up to 70% off on our products including 6 x 4, 6 x 3, 10 x 8 and much much for. Fidn a price which you can only get at MyDeal Australia! At MyDeal Australia we sell a wide variety of Gardening products such as Fake Synthetic Grass, Retractable Hoses and Plastic Outdoor Sheds. If you would like enquire about any of our products, check our FAQ’s or contact us at (03) 9998 6805.